In this unconventional love story, two introverted people, both workers at a meat-processing plant, find out by chance that they share the same dream every night. At first, they are puzzled, incredulous and frightened, but as they begin to accept this strange coincidence, they try to recreate in broad daylight what happens in their shared subconscious. Which comes first? The story or the film? One might well think the story but, for director Ildikó Enyedi, story comes last - behind her desire to explore the human condition. 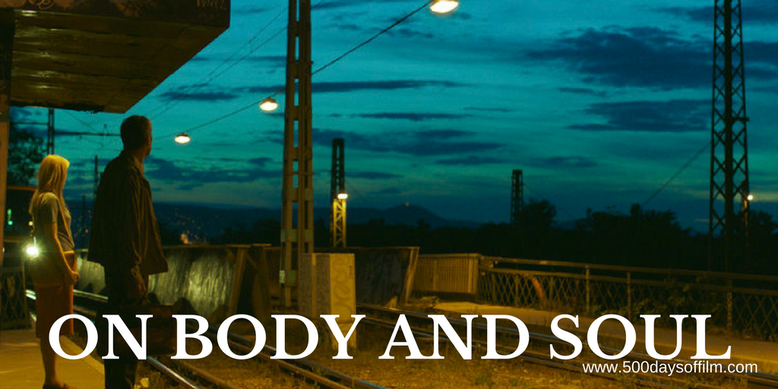 On Body And Soul is a deeply affecting love story between an unlikely couple. Endre (poignantly played by Géza Morcsányi) has given up all hope of finding a soulmate. Meanwhile, Mária (wonderfully portrayed by Alexandra Borbély) is unable to make a connection and find love. Both are wounded and both feel alienated - removed from society with no way of reentry. However, strip away the conventions of society (with all the trappings of being a human) and both Endre and Mária have the potential for a deep and soulful love - as their mystical and magical shared dreams confirm. On Body And Soul was born from Enyedi’s desire to “show an overwhelming, passionate love story in the least passionate and overwhelming way”. She has created characters that, at first, seem all blank surface. However, as the film slowly and steadily focuses on their lives, we understand that they have so much more going on inside. Enyedi's film also examines our inner consciousness and the intimacy of dreams. Endre and Mária are shocked to discover that, night after night, they experience the same dream. However, this binds them - inspiring them both to consider a romantic connection that they had not thought possible. On Body And Soul has, perhaps, the least romantic setting for a love story - an abattoir. However, this location allows the film to explore concepts of body and soul and themes of life and death. We see in sensitively filmed (although no less startling and disturbing) scenes, the slaughterhouse process - as a living cow becomes reduced, in a matter of seconds, to a meat product. “The slaughterhouse in the film is not some archaic, blood-soaked abattoir. It is a neat, well organised, modern workplace sticking assiduously to all regulations” the director explains. “It is the mirror of our Western society. As the film progresses, all of these themes of body and soul, love and intimacy, dreams and reality pull together, leaving us with a beautiful and uplifting tale of love. On Body And Soul won the Golden Bear at the Berlin International Film Festival. Géza Morcsányi makes his screen acting debut in On Body And Soul. By profession, he is currently publishing director of LÍRA Könyv Inc. in Budapest. Enyedi’s debut film, My Twentieth Century, won the Caméra d’Or at the 1989 Cannes Film Festival. Have you seen On Body And Soul? If you have, what did you think of this film? Let me know in the comments section below or over on Facebook or Twitter (@500DaysOfFilm).